Simply HDR is an incredibly single shot HDR tool that will instantly create stunning imagery from one image. Simply HDR includes three Tabs which you can use to customize your image. 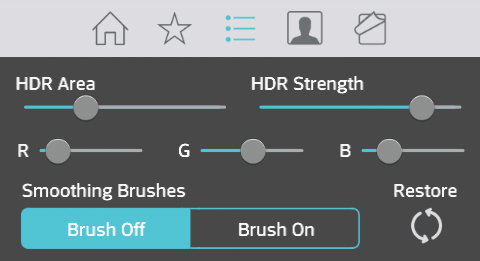 The Adjust Tab changes depending on which Preset Style you have chosen. HDR Area - Smooths out the contrast of the image. HDR Strength - Adjust the opacity of the HDR effect. Smoothing Brushes - Use Brush Off and drag around the image to remove unwanted noise or use Brush On to add back some of the noise. Use Restore to restore all the brushed off noise. Shadow Correction - Remove unwanted shadows from the image. Contrast - Deepens the dark areas in the scene. Saturation - Move this slider right to add more of the original color back into the scene. 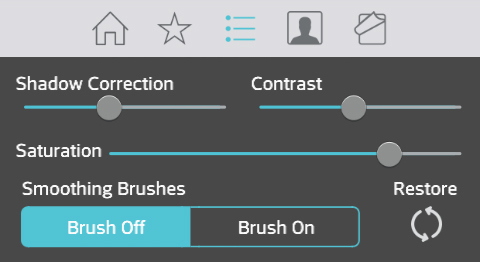 Smoothing Brushes - Use Brush Off to remove unwanted noise on the image and Brush On to add the noise back. Use Restore to restore all the removed noise. Red/Green/Blue - Filters the black and white image with the selected color range. Shadow Correction Strength - Remove unwanted shadows from the image. 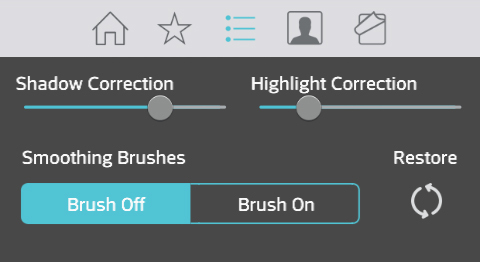 Highlight Correction Strength - Removes unwanted highlights from the image. Vignette Fade - Adds a darkened edge around the image move the slider right to increase the distance it covers. 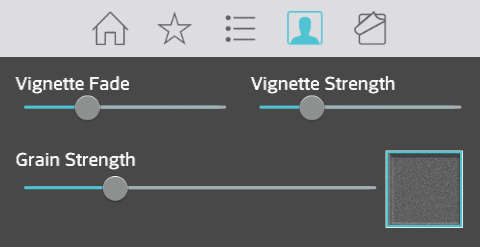 Vignette Strength - Changes the opacity of the Vignette. Grain Strength - Changes the opacity of the grain effect selected. Grain Thumbnails - Choose the grain effect used to overlay the image. 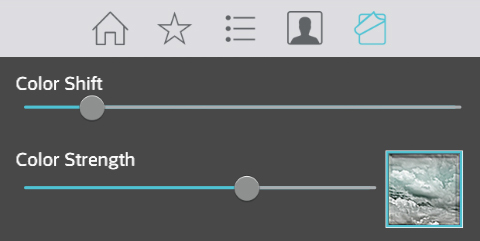 Color Shift - Move the slider to change the tint of the chosen color. Color Strength - Move the slider right to increase the amount of color tone added to the image or move it left to add the original color back into the image. Color Thumbnails - Choose a color to overlay over the image. 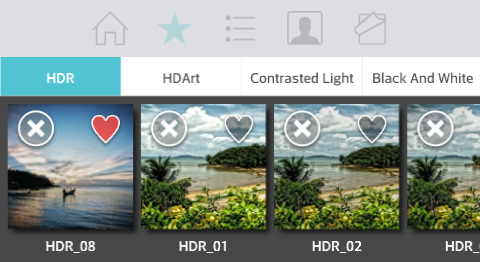 HDArt uses artistic tints.